Prevent Household Plumbing Leaks | American Building Inspectors, Inc.
You rely on your plumbing system regularly in your daily routines. In fact, most people take it for granted and don’t think about the possibility of a plumbing leak until it happens to them. To prevent household plumbing leaks, consider implementing these four tips to keep your plumbing system working well. The freezing temperatures of winter can cause damaged pipes and expensive plumbing repairs. The most common threat posed by cold temperatures are frozen pipes. The sections of your plumbing that are exposed to the outdoors are at highest risk of freezing. An affordable way to prevent household plumbing leaks is to install foam pipe insulation on these exposed pipes. Foam pipe insulation is easy to install and can be purchased at your local hardware store. Everyone loves showering with water that has good pressure, but when the water pressure is too high, it can harm your plumbing. Water pressure is controlled by a pressure regulator attached on or near your main water meter. To prevent household plumbing leaks, your home should have its water pressure set between 40 and 45 psi. At the highest. While some homeowners prefer to have their water pressure higher, water pressure above 60 psi is not recommended. Your dishwasher, washing machine, and refrigerator all access your household water supply through plastic and rubber hoses. These hoses will weaken over time due to erosion from running water and general wear and tear. Check the hoses on your appliances once a year. Look for signs that the hoses are worn down. Signs can include cracks, brittleness, and droplets of water clinging to the hose itself. If any of these signs are present, replace the hose to prevent household plumbing leaks. High levels of minerals in water can cause plumbing issues for your home. Some city water supplies contain more minerals than usual. These minerals accumulate inside of your pipes and may cause blockages that can eventually put pressure on your pipes and cause leaks. To prevent household plumbing leaks due to mineral deposits in your pipes, install a water softening system. A water softening system will filter your water and remove excess minerals before sending them through your pipes and into your home. 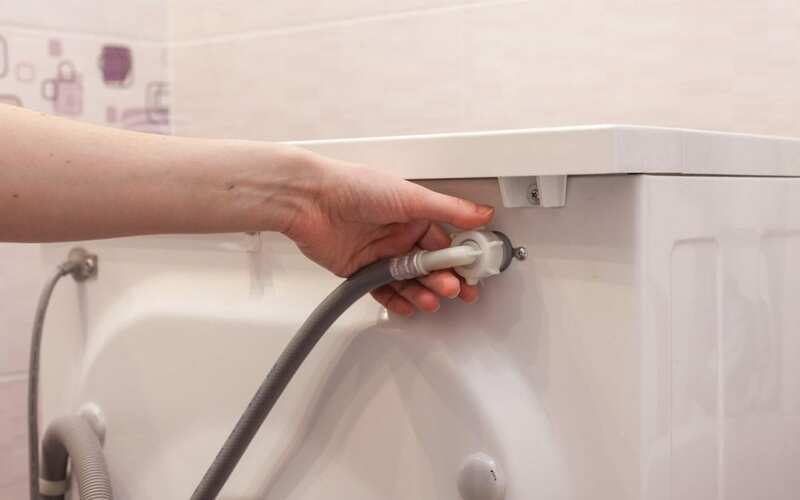 By taking the time to prevent household plumbing leaks, you can save yourself the hassle and expenses of having a pipe burst or an appliance leak. American Building Inspections provides home and commercial building inspections. Contact us to schedule our services.